The team that put the American Beach Museum project in motion has watched it progress through starts and stops to a completed product. Eve Jones had a front-row seat in the process. But she wasn’t sitting down. The Nassau County native grew up in Callahan and lived most of her adult life in Philadelphia. She returned to full-time residency on American Beach in 2001, becoming active in her community’s success. She served as events committee chairperson for the American Beach Property Owners Association (ABPO). Later, she joined the A. L. Lewis Historical Society. And now, as the newly appointed volunteer coordinator for the museum, Eve Jones trained docents in preparation for the museum’s grand opening which took place on Saturday, Sept. 6, 2014. She and her cousin, Bobbi Morgan Jones, immediately got involved in laying the groundwork for the museum. The two, who live in the same block on Julia Street, traveled to Jekyll Island together to scout that town’s local museum as part of the initial museum planning phase. In September 2004, several American Beach residents opened their homes to museum founding members and donors for a tour and showcase of historic and contemporary American Beach houses, concluding with an evening reception at Bobbi Morgan Jones’ beach cottage. The museum planning committee included a number of friends of historical society founder MaVyneeBetsch. Among them Phil Scanlan, Carlton Jones, former historical society presidents Dr. Rowena Stewart, Carol Alexander and current society president Neil Frink played key roles. Also, committee members Vicky and Bev Asbury offered their home as a staging ground for strategy meetings. One week after moving to Amelia Island in 1998, the husband and wife had met museum visionary MaVynee Betsch and Russ Rymer, author of the highly acclaimed “American Beach: A Saga of Race, Wealth and Memory,” at a book signing in downtown Fernandina Beach. That meeting led to a long friendship with Betsch. The museum planning committee regularly met at the Asbury home and Vicky Asbury became treasurer for the historical society. 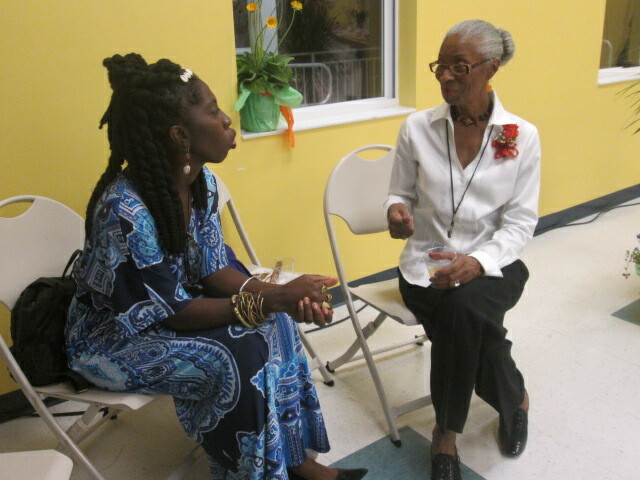 Eve Jones tells Queen Quet, Chieftess of the Gullah/Geechee Nation about the journey to having the dream of the American Beach Museum fulfilled. “We were a coalition of people, black and white, dedicated to preserving the important history of American Beach with the guiding hands of the Beach Lady, Rowena Stewart and Carol Alexander,” Bev Asbury said. From 2004 through 2006, the historical society received grants totaling $45 thousand, Vicky Asbury confirmed. Most of the grants awarded were for planning purposes, including acquisitions and design, with $5 thousand in unrestricted funding. The museum also received annual fees from founding members. Ethnobotanist Dr. A. Kweku Andoh and American Beach resident and historian Marsha Dean Phelts, author of “An American Beach for African Americans,” wrote position papers including their research as supporting documentation for planning the museum’s exhibits. And the historical society hosted a delegation of preservationists from other historically black residential beach communities, hoping to benefit from their expertise and unique perspective on managing the survival of a historical enclave. With preparations for the museum underway, one major obstacle remained. A building to house the museum still did not exist. Site plans for the American Beach Community Center were on the table. But the Nassau County Board of County Commissioners had yet to approve full funding for construction. “Ansley Acree, she’s the one that stepped up,” Scanlan said, explaining that the former Nassau County commissioner, whose district included American Beach, pushed funding through. Acree served in office from 2002 until 2006. In that time she became enamored with Betsch. Acree presented American Beach Day proclamations to residents and stood by a triumphant Betsch as the National Park Service received from the Amelia Island Plantation Co. the deed transferring ownership of Nana sand dune. Betsch brokered the deal, on behalf of the A. L. Lewis society, with assistance from other environmentally-minded advocates. Acree promised publicly at Betsch’s memorial service that the board of commissioners would make the community center a reality. Officers resigned for various reasons. Fortunately, with community center construction still pending, another American Beach resident stepped into the void. Ben Carter, a member of the ABPO called or emailed the county commission on almost a daily basis, Eve Jones said, noting that Carter attended meetings and served as a liaison. “It sent a message that American Beach was serious about wanting that structure built.” “He was a driving force behind getting shovels in the ground,” Frink said of Carter who died in 2011. “A. L. Lewis was an amazing man,” Jennings said, also expressing gratitude for Lewis’ great-granddaughter MaVynee Betsch and her role in keeping American Beach alive. “It was something he left for all of us,” Jennings said. 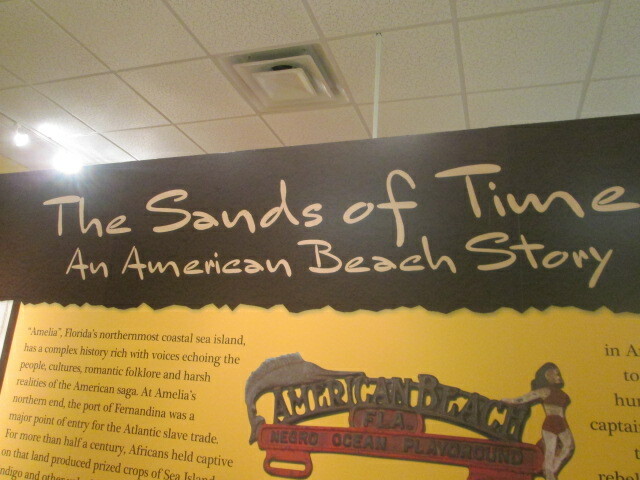 Beginning Sept. 13, 2014, the American Beach Museum, will open weekly from 10 a.m. until 2 p.m. on Fridays and Saturdays and 1 – 5 p.m. on Sundays.